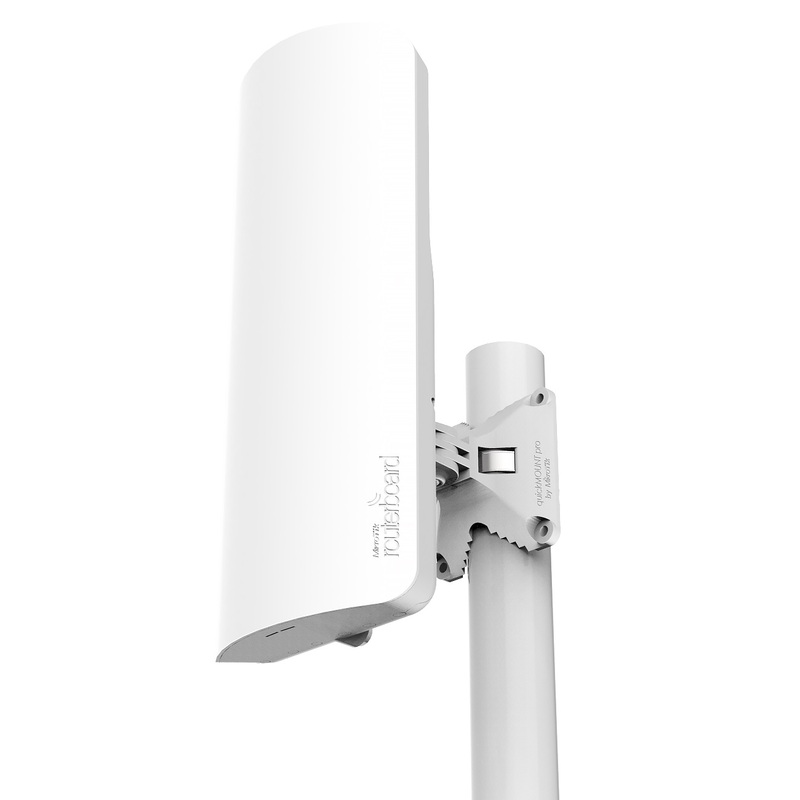 The mANTBox is based on MikroTik's new mANT sector antennas, but also has a wireless router built right in. Powered by the RB921 device, the mANTBox comes ready to use with everything included. The device uses a high speed 720MHz CPU and has a built in 802.11 ac/a/n wireless device with up to 31dBm output power. mANTBox 15s comes with 15dBi 120 degree sector antenna. RB921GS-5HPacD-15S-US (USA) is factory locked for 5.17 - 5.25 GHz and 5.725 - 5.835 GHz frequencies. This lock cannot be removed.